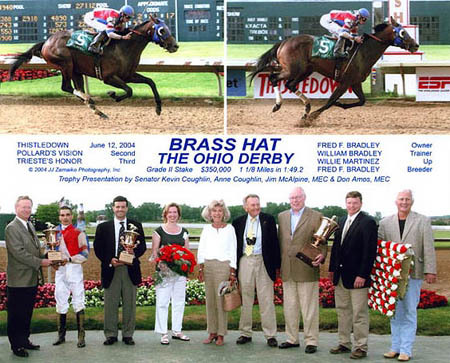 May 23, 2009 - BRASS HAT added another highlight to a remarkable career that has seen him overcome a pair of serious injuries which forced him to miss more than two years of combined racing action. 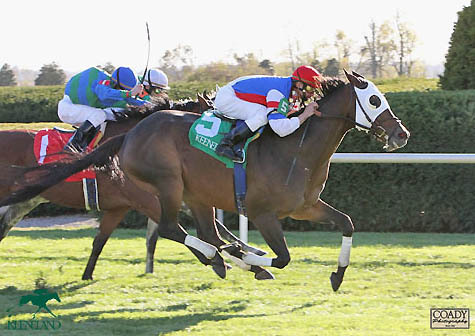 Fred Bradley's homebred notched his fifth graded stakes victory and upped his earnings to $1,892,360 in the LOUISVILLE HANDICAP at Churchill Downs, 1 mile 1/2 on turf in 2:28.44! 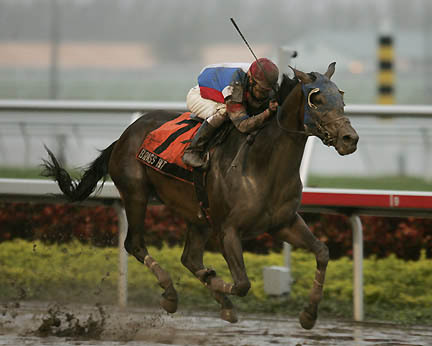 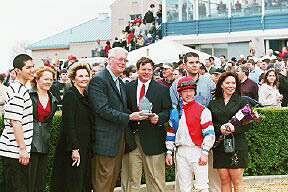 CONGRATULATIONS to owner Fred Bradley on a NEW TRACK RECORD by BRASS HAT in the $500,000 G1 DONN HANDICAP at Gulfstream Park, February 4, 2006. 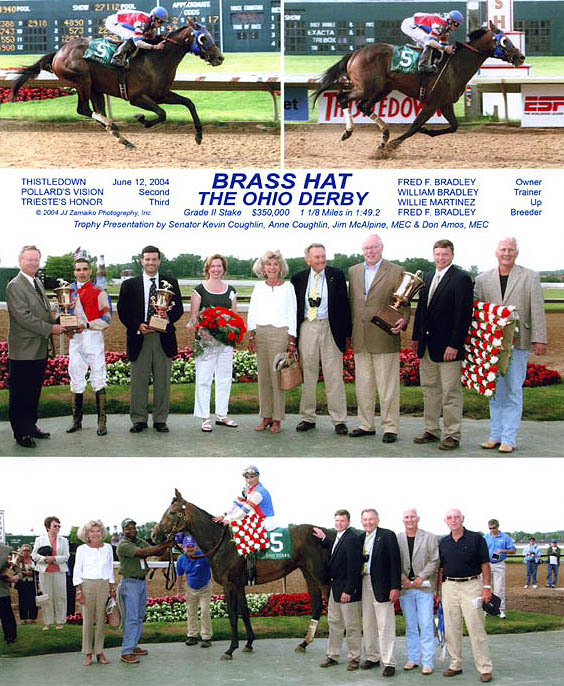 "THE 'HAT IS BACK!" 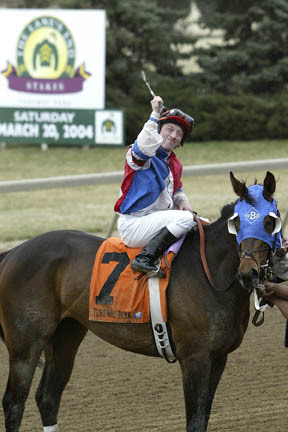 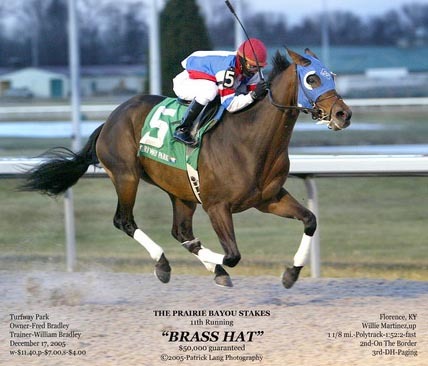 Congratulations to owner Fred Bradley on the comeback win by BRASS HAT in the PRAIRIE BAYOU STAKES at Turfway Park, ridden by Willie Martinez, December 17, 2005. Brass Hat compiled a record of 9-3-4-0 earning $624,430 in 2004! 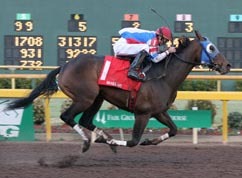 1 mile 1/8 in 1:49.50 - $44.80 to WIN! 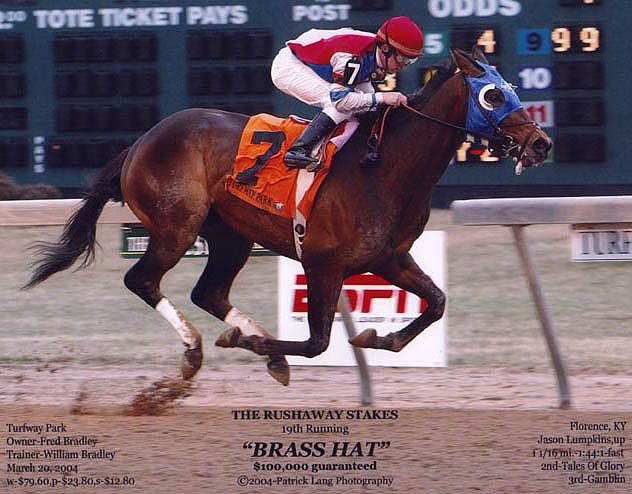 BRASS HAT's record is now 7-2-4-0 with lifetime earnings of $317,650! 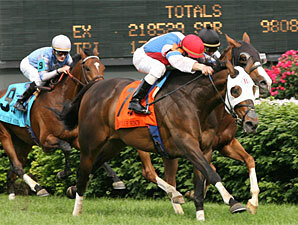 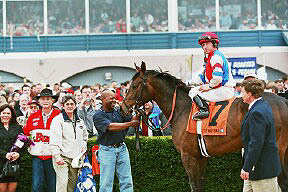 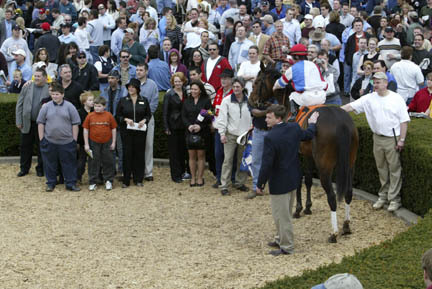 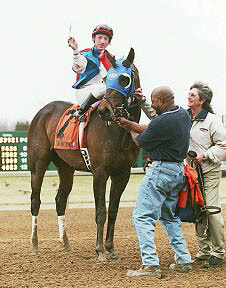 BRASS HAT finished 2nd in the $100,000 FORERUNNER S. at 1 mile 1/8 ON TURF at Keeneland, April 15, 2004. 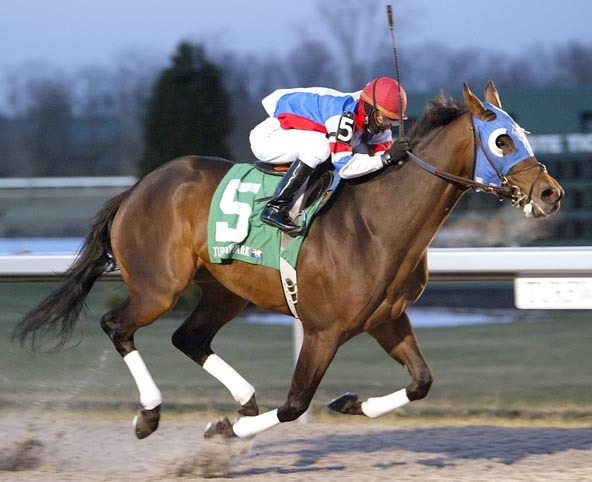 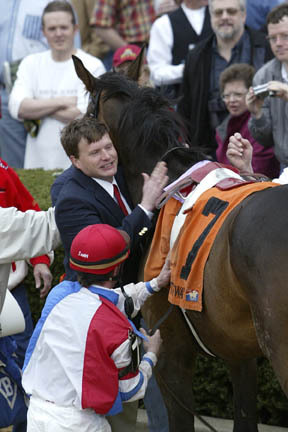 He followed up with a strong 4th by only 5 lengths in the G3 CROWN ROYAL AMERICAN TURF S. at 1 mile 1/16 on the turf at Churchill Downs on Oaks Day, April 30, 2004.